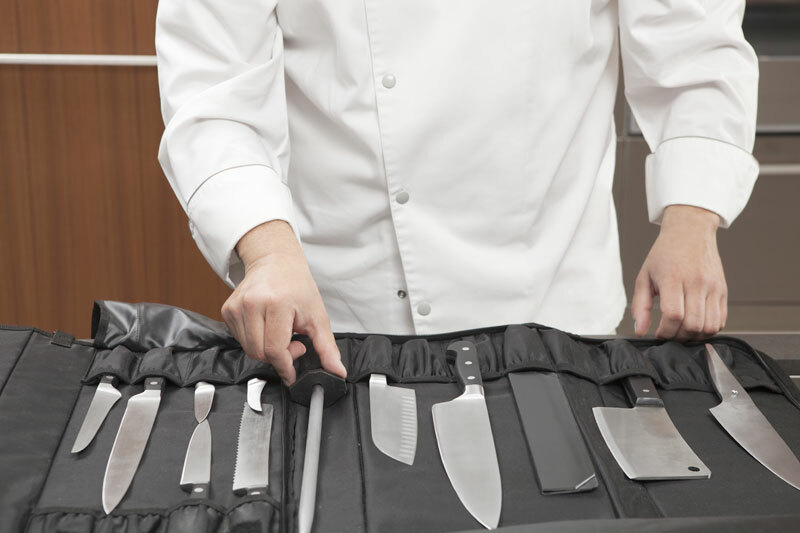 The quality of the CROMOVA 18 steel, the use of the blades, and the particular sharpening by hand guarantee extremely sharp knives. 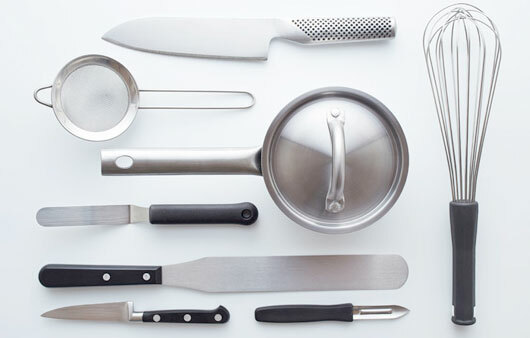 However, with time and use, any knife loses some sharpening, even if treated with care. 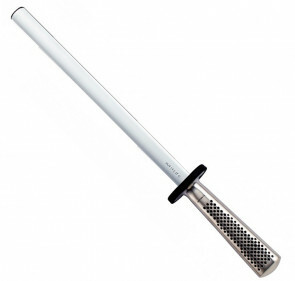 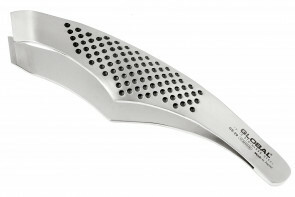 Therefore it is useful to periodically revive the blade edge and/or re-sharpen it. 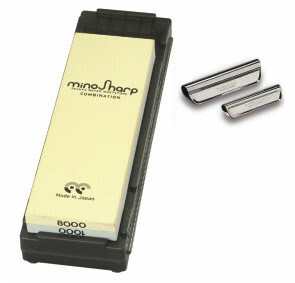 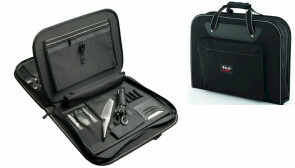 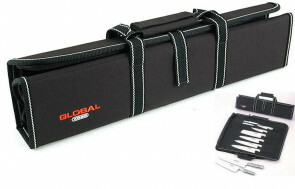 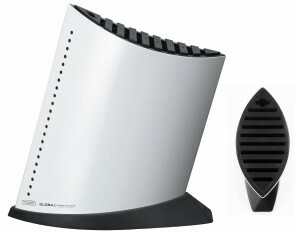 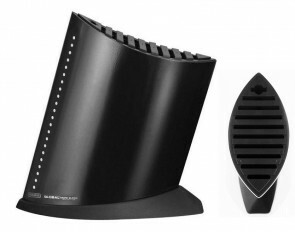 For the daily maintenance of knives, GLOBAL offers two types of knife sharpeners: one in ceramic and one in "diamond". 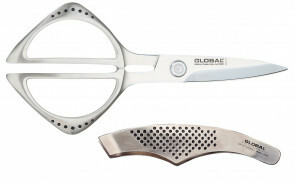 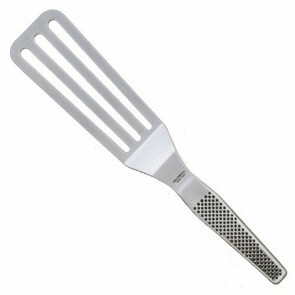 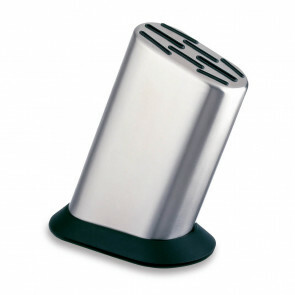 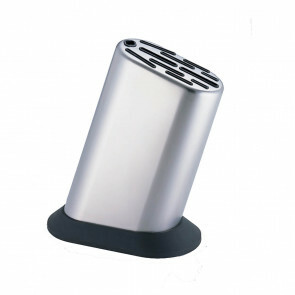 GLOBAL has a range of knife blocks manufactured in 18-10 stainless steel of the highest quality. 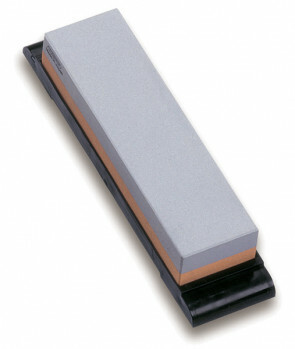 The heavy rubber base ensures excellent stability of the block and, due to the fact that it can be removed and washed, also a high degree of hygiene. 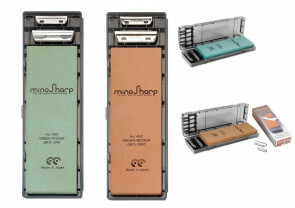 The ceramic wheel sharpeners achieve excellent sharpening results. 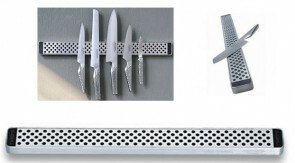 It is sufficient to insert the knife into the guide and, because the ceramic wheels have a different inclination to the slit, the right inclination is guaranteed. 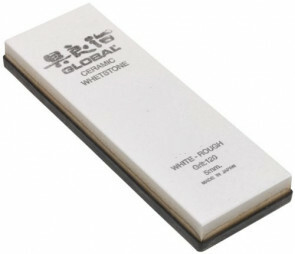 The white ceramic wheel has a coarse grain and is the starting phase of sharpening. 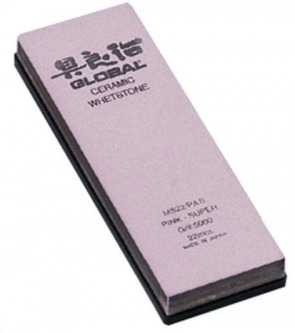 It will then pass to the pink ceramic wheel which, with its medium grain, will perfect the operation. 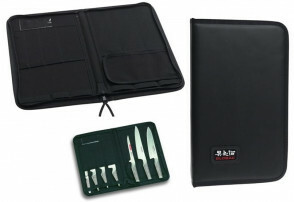 With this system you can not sharpen the serrated knives and the professional knives that have the thread on one side only (e.g. 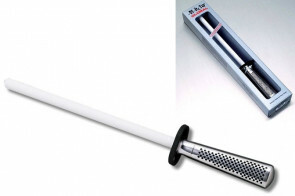 sushi knife).